Do you want to be able to use gut wrenching outside sounds in your blues guitar playing? Wouldn’t it be awesome to be able to fully understand what the altered scale is and how you can use it in your blues guitar improvisations? You’ve come to the right place. There are multiple resources talking about how the altered scale is related to superlocrian, which is also the 7th mode of the melodic minor scale. Unless you have a major in music theory, all this information is overly confusing, leading you to think that playing in the style of Robben Ford is very difficult. That is why we will approach this topic from a down-to-earth approach. To do so, we will start to look at how guitarists, and musicians in general, approach the topic of advanced blues and jazz guitar soloing. The great thing about blues soloing is that we can add specific scales that sound very tense, jazzy, etc. at specific times in a chord progression. Think about those guitarists like Scott Henderson (you might want to look this one up if you don’t know him yet) who make their audience turn their head with a sudden frenzy of notes that sound totally ‘out there’. 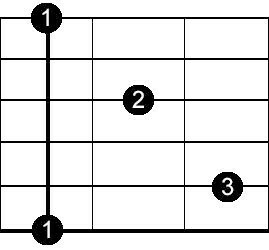 2. extensions/tension notes = notes that appear in the scale but NOT in the chord (dissonant pitches (level 1)). Experienced guitarists target chord tones when they want to play safe, outline the chords they are playing over, or if they generally are looking for a more stable sound. On the other hand, they target tension notes if they want to add… well, tension. These altered tones gives the lick or passage in the solo a really tense, jazzy feel. This is where the altered scale comes in. When using the altered scale we are playing: chord tones coming from the dominant seventh chord mixed with altered tones. Yes it is true that this altered scale is related to the superlocrian scale, which is the 7th mode of the minor melodic scale. But approaching the altered scale in this way can be confusing and I would not recommend to study this relationship until you really understand how the altered scale is build up and how it can be used in a blues setting. Now look at the following image, which features the same chord tones from the A7 chord, but now along with the altered notes. Remember, these altered notes are really notes that aren’t easy to use over the dominant seventh chord they are being played over, but when we use it together with the chord tones they become very cool sounding jazz outbreaks out of the normal scales we could use. This all results into a very jazzy sound that is great to use when you want to build tension. Think of the altered tones as ‘outside notes’. Music is all about tension and release, so because the altered scale is full of tension we should use it at strategic places in the chord progression where we can easily release that tension again. We can use the altered scale at any point in a chord progression where we can use an altered chord. An altered chord, like the altered scale, is a chord that uses both chord tones from the dominant seventh chord and an altered tone. When moving from the A7 chord in bar 4 to the D7 chord in bar 5 we are moving a fifth lower. This also happens when going from the E7 chord in bar 12 to the A7 chord in bar 1 again. At these two points in a regular 12 bar progression we can use the altered scale/chord. It is important that you understand that we don’t need to play the altered chord in order to play the altered scale over it. This is because we can ‘imply’ the chord instead of actually playing it when using the altered scale. For instance, when using the altered scale over bar 4 in the progression from above we are actually implying the altered chord since we are using the altered tones in the scale. However, we can insert the altered chord at these places in the progression even though we don’t need to play the altered scale over it. As you can see above, an altered chord is sometimes referred to as ‘alt’ instead of writing the full chord name. This is because, as you learned above, we can use both the b5, #5, b9 and #9 to alter a chord, the choice is yours. 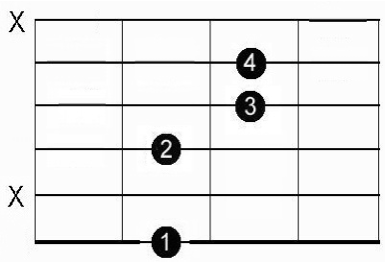 For now, we can use the A7#5 chord and the E7#9 chord at these places to make it more defined, as in the progression below. Listen to the audio example of this Altered Scale Lick. If you want to learn how to play licks that best outline the chords you are playing over a blues (great guitarists do this all of the time) I recommend to study my How Great Blues Guitarists ‘Spell Out’ Changes When Playing Over Blues Chords.